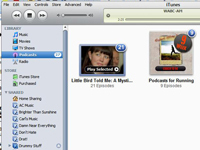 iTunes is a great tool for following your favorite podcasts. 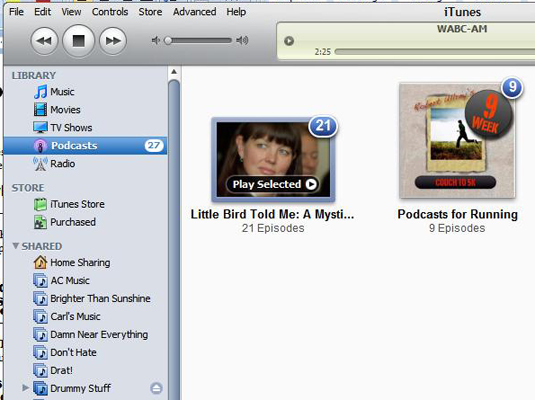 You can add podcast episodes to your playlists in iTunes. You can even create a playlist consisting entirely of episodes from different podcasts. The Add Playlist button is in the bottom-left corner of the iTunes window, under the Source pane. 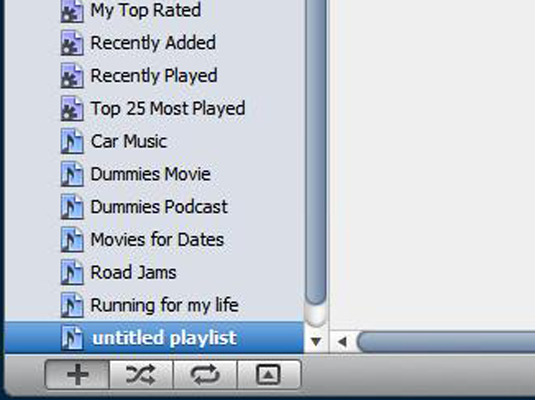 A new, untitled playlist appears in the Playlists section of the Source pane. 2In the Playlists section of the Source pane, click the untitled playlist twice and give it a new descriptive name. After you type a new name, iTunes automatically sorts it into alphabetical order in the Playlists section of the Source pane, underneath the preset smart playlists. 3Select the Podcasts option in the Source pane and then open a podcast by clicking the blue number in its upper-right corner. You can drag one episode at a time, or drag a selection of episodes and drop them onto the playlist name in the Playlists section of the Source pane. 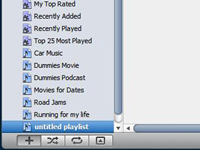 The initial order of episodes in the playlist is based on the order in which you drag the episodes to the list.